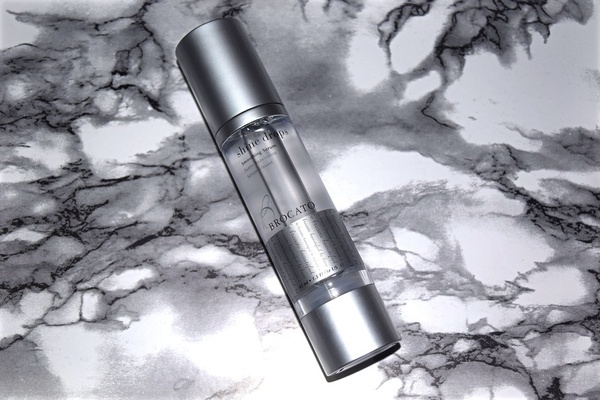 The serum comes in a clear bottle, with a pump. It is a lightweight shine enhancer for hair and body. This smoothing serum can be used every day to refresh your hair and tame your frizz. You can use it before you blow-dry your hair or use a flat iron, you can replace your heat protection spray with this serum. Apply it to a wet or dry hair and style your hair as you will normally do. If you want dewy skin before you apply your makeup, one pump will help you achieve that look. 1. Cyclomethicone: Don't worry, this is a safe silicon. It helps other ingredients to get absorbed into the skin and hair, and it evaporates quickly after application. 2. Vitamin E For Skin: Vitamin E works to block free radicals from the body, which is responsible for the aging process. Fighting free radicals helps to reduce wrinkles and keep the skin youthful looking. Vitamin E For Hair: It is an antioxidant that contributes to repair damage to the hair follicle, and encourages healthy hair growth. 3. Jojoba Oil: Jojoba oil has a molecular structure that is similar to Sebum (natural oil the scalp produces.) It helps with hair growth, hydrating and moisturizing. It contributes to relieve dandruff. I use this serum at night immediately after taking a shower, and when my skin is still damp, it helps with keeping my skin hydrated throughout the night. I love using it for my hair, my hair is softer and manageable to style after applying a few drops to my hair. It smells good with a light fragrance that is not overpowering. If you are looking for a light serum you can use on both your hair and skin, give Brocato Serum a try. I highly recommend it. This Post is in collaboration with Brocato, All thoughts and opinions are my own. Creative and wonderful tips! I enjoyed your post very much, keep sharing dear!